Apple Developer Programの証明書を使用する場合は, XcodeSigner を "iPhone Developer: ... " 等にすれば良いはず. 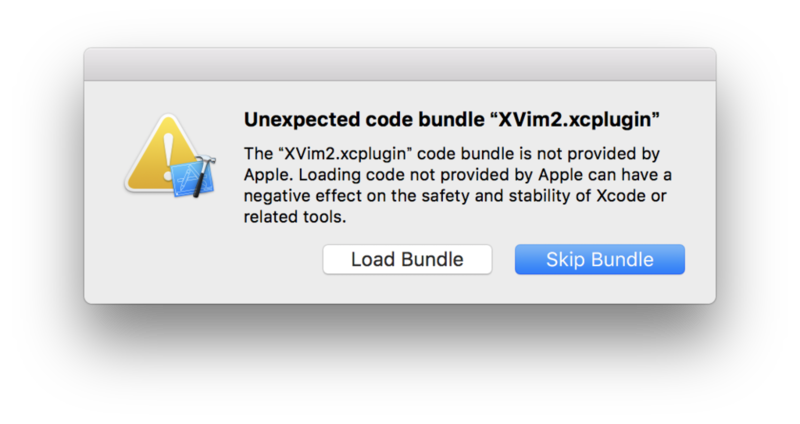 XVimをロードするか聞かれるので Load Bundle を選択. 誤って Skip Bundle を選択してしまった場合は、ターミナルで下のコマンドを実行. let documentDir = NSSearchPathForDirectoriesInDomains(.DocumentDirectory, .UserDomainMask, true).first! let log = "[%02d]: Mag: %5.2f, Rel: %5.2f, Img: %5.2f"
let filePath = "music file path"